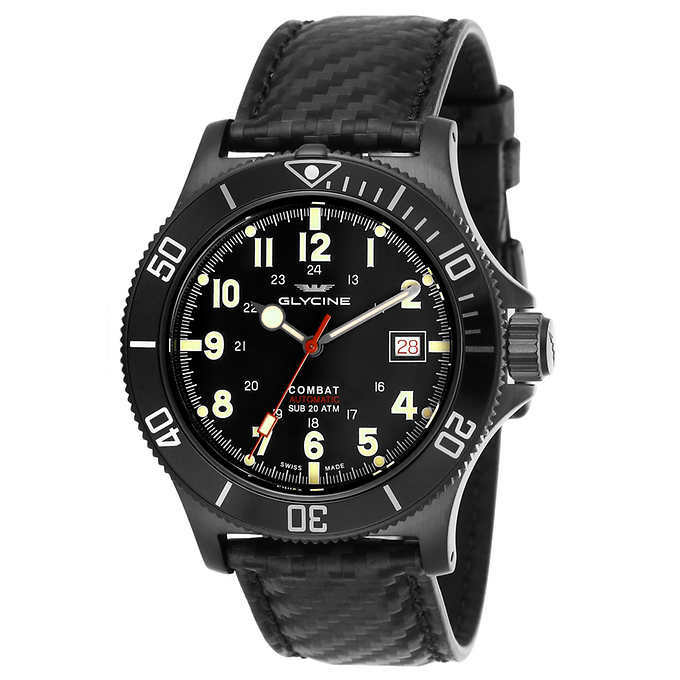 Costco had one of the all-time best prices on a Glycine Combat Sub at $280 for (I think) 5 months. I can no longer find it on the Costco website, so...RIP, Cosbat Sub. How many of you snagged one? I was at Costco last week and they had them in store. May be worth a look if you have one nearby! I bought one. The strap is pretty meh, but otherwise a great watch. Perfect size. I bought one and really liked the overall watch but didn't bond with the Costco colorway and returned it. I then bought a preferable colorway from watchgooroo and love it. I paid about $30 more but much prefer the version I chose. I was in a Costco (Frisco, TX) last weekend and they had at least one in stock. How durable are modern PVD/IP coatings? I've had black coated watches in the past, and the finish basically came off if you looked at it funny, and it looked like crap. It's turned me off of black watches ever since.